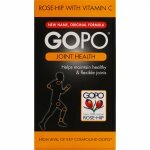 What are Osteoflex Plus Tablets? 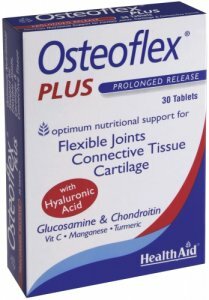 Osteoflex Plus formulation provides nutritional support for healthy joints and cartilage. 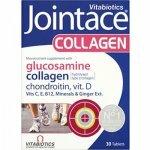 A unique combination of high grade Glucosamine, Chondroitin Sulphate and Hyaluronic Acid, with added Vitamin C, Turmeric and Manganese to help maintain supple, flexible joints, strong cartilage and a healthy skeleton. Suitable for men and women of all ages.for men and women of all ages. Who are Osteoflex Plus Tablets for? One to two tablets daily with a main meal. Allergen Information: Do not take this product if allergic to shellfish. Glucosamine Sulphate (2KCl), Chondroitin Sulphate, Bulking Agent (microcrystalline cellulose, di-calcium phosphate, maltodextrin), Vitamin C (ascorbic acid), Glazing Agent [polyvinylpyrrolidone (PVP), hydroxyl propyl methyl cellulose (HPMC)], Hyaluronic Acid, Anti-caking Agent (veg. magnesium stearate), Curcumin 10:1 Extract, Manganese Sulphate. Caution: Diabetics should consult a doctor before taking this supplement.